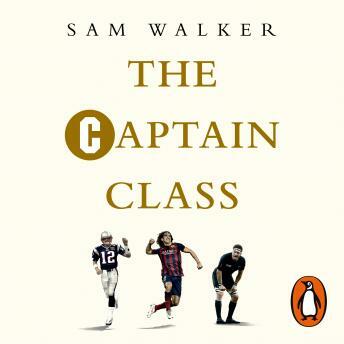 Random House presents the unabridged, downloadable audiobook edition of The Captain Class: The Hidden Force Behind the World's Greatest Teams by Sam Walker, read by Keith Szarabajka. Several years ago, Sam Walker set out to answer one of the most hotly debated questions in sport: what are the greatest teams of all time? He devised a formula and applied it to thousands of teams across the world from the English Premier League to the NFL. When he was done, he had a list of the 16 most dominant teams ever. At that point he became obsessed with another, more complex question: what did these freak teams have in common? As Walker dug more deeply, a pattern emerged: The teams were all driven by a singular type of leader, but not one with the characteristics you might expect. They were unorthodox outliers - awkward and disagreeable, marginally skilled, poor verbal communicators, at times aggressive and rule-breaking and, rather than pursue fame, they preferred to hide in the shadows both on and off the field. Captains, in short, who will challenge your assumptions of what inspired leadership looks like. From the captains of world renowned teams like Barcelona, Brazil, the All Blacks and the New York Yankees to lesser known successes of Soviet ice hockey or French handball, The Captain Class unveils the seven key qualities that make these elite leaders exceptional. Drawing on original interviews with athletes from two dozen countries as well as coaches, managers and others skilled at building teams, Walker attempts to answer questions such as: Are great captains made or born? Why do so many teams pick the wrong captain? Why has the value of the captain fallen out of favour and how can it be revived? The culmination of 10-years research and a lifetime of sports watching, The Captain Class is like no other sports book and is guaranteed to spark endless debate and heated argument among fans of every sport.